From underground cavernous grottos that are so expansive they have their own ecosystem, to sea caves eroded by centuries of unrelenting tides, the world is home to some majestic cave dwellings. Otherworldly in geological formation, these spectacular sites bring home the awesome power of nature and make for an awe-inspiring and ultimately humbling experience. Here’s our countdown of the top 10 most majestic caves in the world to give you a serious case of wanderlust (claustrophobes , look away now). On New Zealand's North Island is a natural phenomenon that has lured enchanted tourists over the generations. 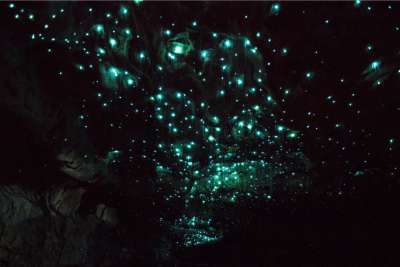 Waitomo Cave stands out for its creepy crawly inhabitants in the form of thousands of glow-worms unique to New Zealand, who illuminate the caves in an icy blue light. 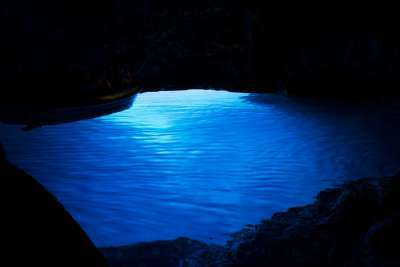 Visitors can hop on board a boat and tour the cave, silently and serenely floating along an underground river, with time to marvel at the twinkling cave ceiling. Eisriesenwelt literally translates to 'World of Ice Giants', which helps us conjure up all sorts of images of what is expected in this icy cavern. This Austrian cave is a shimmering blue ice palace, and the largest of its kind in the world. 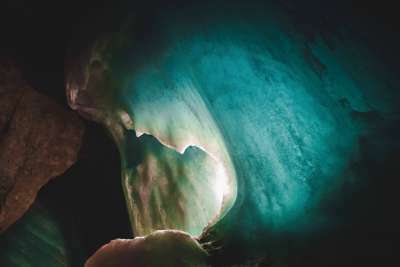 While a full 42 km of glacial ice cave may not be utterly desirable and may fill you with dread, fear not, as only the first km is open to tourists who can venture inside for a mystical experience. During the winter months, the snow blows in and freezes over the ice, causing obscurely shaped ice structures. 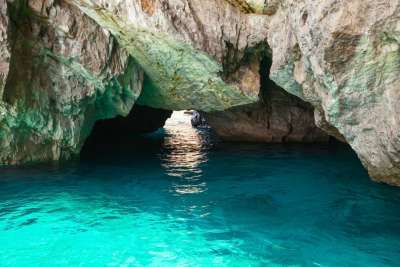 This well-known sea cave is located on the northern side of the dreamy Italian island of Capri. Tourists escape the heat of the day and the busy cosmopolitanism of the island with a trip to this tranquil grotto by boat. Visitors board a wooden rowboat, complete with an Italian skipper who navigates you seamlessly to the cave mouth. Once inside, holidaymakers can marvel at the crystalline water with its silvery sunlight reflections and the deep blue of the Tyrrhenian Sea. The Algarve is a section of the Portuguese coastline which is characterised by its bright red terracotta cliffs and golden sandy beaches. It's this famous red rock that has made for some otherworldly cliff formations and sea caves. The waters have lapped the cliffs of the Algarve over the years, meaning the rock has crumbled away into the sea. 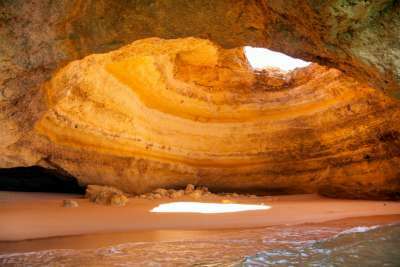 Among the sea's most notable creations is the Benagil cave. The grotto is only reachable by boat but is well worth the journey to see the iconic dome with its open ceiling, which allows sunlight to flood into the cave. An underground world of azure blues and silvery lights beaming off icy cave walls, this spectacular glacier cave is one for the bucket list. Iceland's unique climate and diverse landscape is a nature-lovers paradise just brimming with exciting discoveries to be made, but lurking underground may be the country's best kept secret. The curious formation of the ice is down to trapped bubbles of air which makes for fascinating patterns as well as giving the ice an electric blue sheen. 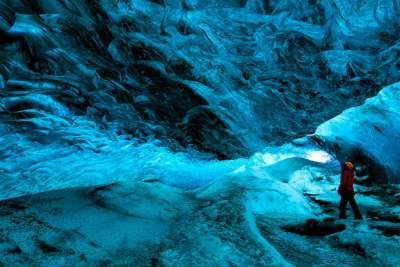 Plenty of tour companies offer caving excursions from Vatnajökull National Park. One of the most unique natural phenomena in the whole of Croatia is the staggering Blue Cave on the island of Bisevo. This seaside marvel is accessible by boat, and visitors have to sail through the crack in a cliff wall. It's this opening which is enough to let in a dazzling beam of light that illuminates the water to an electric blue and contrasts against blackened cave walls. Visitors seeking the serenity of this coolly lit sanctuary can easily catch a boat from the city of Split. Discovered centuries ago by those clever Romans, St Michael's Cave in Gibraltar was long believed to be a bottomless cave before some inquisitive adventurers discovered that not to be the case. The grotto remains a pretty impressive spot though, with looming limestone stalactites hanging from the ceiling. It also doubles up as an occasional concert venue, with candles highlighting the intricate limestone detail and the cave acoustics a unique place for an intimate gig. Halfway down the leg of Vietnam is Son Doong Cave, the largest underground cavern in the world. This cave is so epic in size, with a ceiling that towers 200 metres high, that it has its own ecosystem and climate. This means that sometimes you'll spot puffy clouds floating just below the ceiling. Visitors to this fascinating dwelling will witness craggy mountains clad with thick moss and vegetation, as well as a cave river and even a jungle. Fly to Hanoi or Ho Chi Minh and head to Phong Nha National Park for a chance to see it up close, or explore the other nearby caves that pepper this landscape. Phung Chang cave literally translates to 'elephant belly cave' because of its rocky exterior which gives the appearance of an elephant's body. 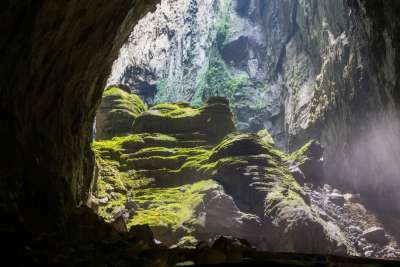 Visitors who dare to enter the body of this grotto must venture through tropical rainforest before a 1.2km journey into the heart of the limestone cliff. 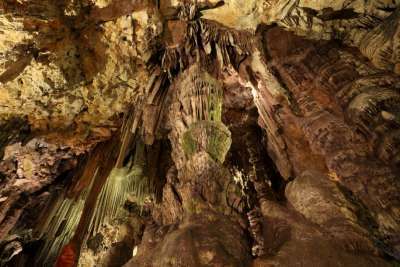 Along the way there are plenty of opportunities to spot stalagmites, stalactites and obscure rock formations that resemble exotic animals. 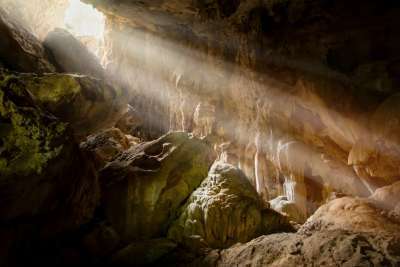 The cave is also home to real-life creatures as well as stone ones, and is a great place to spot the world's smallest species of bat in its natural habitat. These underground chambers are dotted across the Yucutan Peninsular in their thousands. Formed as limestone earth caves in to cavernous chambers below, water often fills these caverns creating pools of azure water and natural swimming pools. 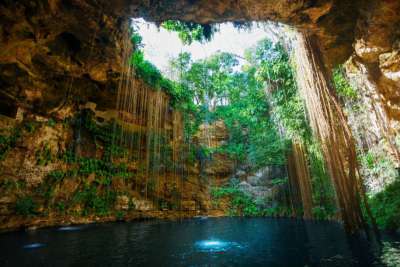 Many of the caves, typically found just inland from Cancun, have been unearthed for thousands of years, and originally discovered by Mayan communities who would use them as an underground burial tombs. Some of the pools, however, are more recent discoveries, and are open to members of the public eager for a break from the heat of the Mexican day.